The code, along with example usage, may be found on the asmCrashReport GitHub page. None of the sources I found online handled the cases quite the same way and they didn’t give the results I was looking for (name demangling for example). What I’ve put together uses ideas from a bunch of different sources. In addition, since I am targetting Qt applications using C++11, I took the liberty of using Qt classes and methods when putting this together. This will define ASM_CRASH_REPORT for the preprocessor and modify the C/CXX and linker flags to include the debug symbols properly. I usually wrap it in a config option so it can be included using “CONFIG += asmCrashReport” on the command line or in Qt Creator. /// Function signature for a callback after the log is written. /// @param inLogFileName The full path to the log file which was written. /// @param inSuccess Whether the file was successfully written. ///! Set a signal handler to capture stack trace to a log file. /// @param inCrashReportDirPath Path to directory to write our crash report to. /// @param inLogWrittenCallback A function to call after we've written the log. /// You might use this to display a message about where to find the log. asmCrashReportExample v1.0.0 07 Aug 2017 @ 13:48:22 EXCEPTION_INT_DIVIDE_BY_ZERO  0x00000000004056ea crashTest::divideByZero(int) at C:\dev\asmCrashReport\build-example-Qt_5_9_1_MinGW_32bit/../example/main.cpp:18  0x0000000000405749 crashTest::function2(int) at C:\dev\asmCrashReport\build-example-Qt_5_9_1_MinGW_32bit/../example/main.cpp:25  0x0000000000405726 crashTest::function1() at C:\dev\asmCrashReport\build-example-Qt_5_9_1_MinGW_32bit/../example/main.cpp:30  0x0000000000405707 crashTest::crashMe() at C:\dev\asmCrashReport\build-example-Qt_5_9_1_MinGW_32bit/../example/main.cpp:13  0x0000000000403388 qMain(int, char**) at C:\dev\asmCrashReport\build-example-Qt_5_9_1_MinGW_32bit/../example/main.cpp:61  0x0000000000404592 ?? at qtmain_win.cpp:? I’m not going to go over everything in the code, just some highlights of things that are maybe different from the other posts on this subject. I have shortened the code and split it up for this post. You can find the full source in the GitHub repo. The first part is fairly straightforward – the _writeLog() function writes the log and calls the callback if one was provided. This next function – _addr2line() – uses an external tool to translate memory addresses to file and line numbers. On macOS this is the atos tool, on Windows we use the addr2line tool from Cygwin. Note that on Windows this means we need to ship the add2line tool and supporting DLLs to the end-user. See the GitHub repo README for more details. If the external tool fails to run it will return an error. If it succeeded but the tool could not find the symbol, it will return an empty string. Otherwise it returns the file and line information as a string. Next up is the Windows-specific code. Note that I only include the stack frame layout for i386 since we are targetting the MinGW 32-bit compiler. The other interesting thing here is what I’m doing with the result of addr2line() while walking the stack trace. The addr2line tool does not demangle the C++ symbols, so we end up with symbols like “_ZN9crashTest12divideByZeroEi“. To make them more readable, I identify them with a regular expression, use a function to demangle them properly (abi::__cxa_demangle()), and substitute the human-readable version of the symbol – e.g. “crashTest::divideByZero(int)“. The last function – winExceptionHandler() – just converts the exception to a human-readable string, gathers the stack trace, and writes the log. The macOS-specific code is similar, but we can use the backtrace() and backtrace_symbols() functions to simplify things. The other two functions here – _posixSignalHandler() and _posixSetupSignalHandler() set up the necessary plumbing to capture the signal, convert it a human-readable form, gather the stack trace, and write the log. Finally, we have the main setup function. All this does is set some of the static variables and call the appropriate signal handler function. While what I have currently works for me, you might need to adapt it for your own use. I’ve intentionally kept this code as simple as I can. Some of the possibilities for modification would be to include a working version for MSVC, include a Qt-based way to submit the crash log via a web server, expand the data included in the report to include machine information, etc.. If you make any changes, please feel free to submit pull requests on the github page. but,when some crash in dll file,I can not get the infomation. Would you mind creating an issue for this in the github repo? It will be easier to discuss there. Thanks for the stack analyzer. I integrated the code as mentioned. But, I’m getting the following info only in the stack trace. Could you please let me know if I’m missing something? Process failed to start: Access is denied. We are unable to proceed at all. Any pointer should be helpful for us. Do you have the addr2line program in the right place? (see the readme) Does your program have the correct permissions to run it? The paths don’t look quite right there – it should be looking next to the executable for the tools directory to find addr2line. You should be able to see what’s happening using your debugger. 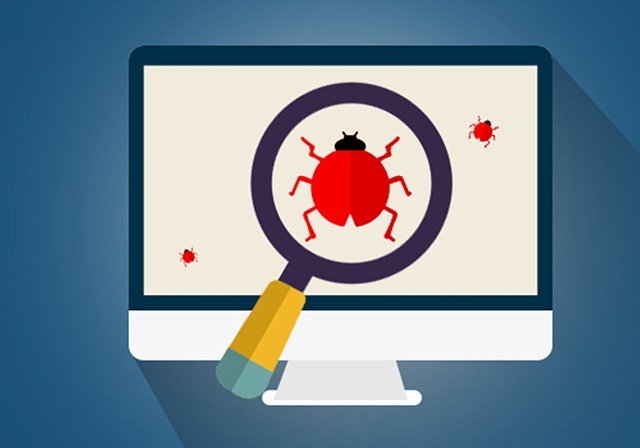 It’s almost impossible to analyze and debug problems remotely & without the code. The path could be an editing mistake. This is the actual path. Please let me know if this is right. When we made a deliberate divide by zero error in the code to cross verify, the stack trace was fine. So, I think it has right permissions to run.We don’t have any debugger other than Visual Studio debugger when the QT crash happens. It shows an exception in QTWidgets.dll. Please provide your suggestion on the possible debugging options for this issue. If you are crashing in Qt, then it’s possible it’s finding the wrong Qt version (linked to one version and running with a different one). In my experience, crashes in Qt code itself are fairly rare. Other than stepping through the code with the debugger to figure out what’s happening I don’t have any other suggestions. Actually, this crash issue doesn’t happen when we run with a debugger. That’s why an external tool to get the stack trace was required. The doubt was in how to interpret this error message “Process failed to start: Access is denied”. You could try using the other version of QProcess::start() in asmCrashReport.cpp. Maybe the argument list included as part of the command isn’t being quoted properly? I have studied a bit the code and I find it very useful. – Why do you need to setup alternate stack?? – I have seen that with this code, at least on my Mac core dump file are not generated. Is that intended? This was a trick from one of the articles I reference to allow this to handle stack overflows. I didn’t have intent either way. From what I read, macOS doesn’t produce full core dumps unless you turn it on. Or are you saying that using this code prevents that from working? My reason for putting this together was that one of my customers had what sounded like random crashes on Windows and I wanted to track it down (turned out to be a hardware problem). The stack trace – for my use-cases – is the most useful information a customer can give me. On macOS this is already handled by the OS, so I don’t really need to use this there. Did you check this? Did you try changing the limit on the command line to see if that works? Other than that I’m afraid I don’t know what else to look at as it’s not something I’ve needed.